Want to combine your family vacation with a volunteer experience? It easier than you may think, thanks to companies that connect travelers with experiences that don't take an enormous amount of time or effort but can still have a big impact. 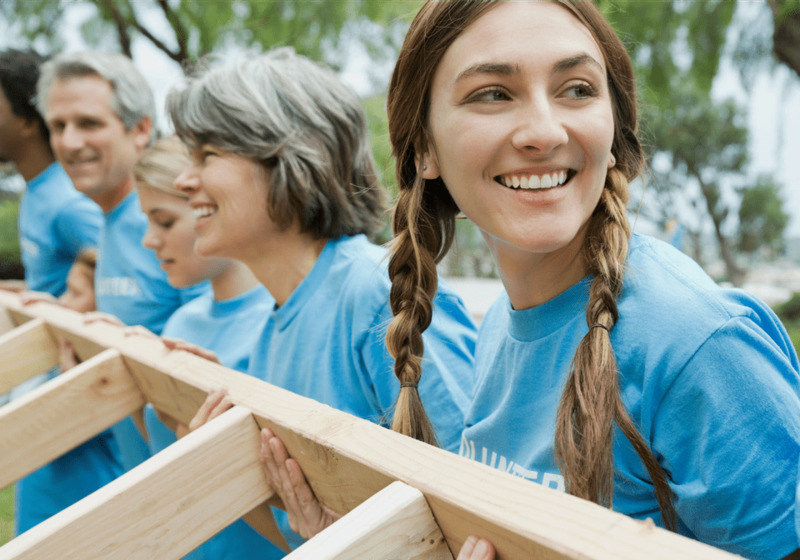 Whatever your favorite cause, you'll likely find a way to give back while you're having fun. When choosing a voluntourism program, be sure to ask the right questions, such as: How many hours of work are involved? Who do we report to? Will we work on our own or as part of a team? If you're undecided about how much of a commitment you are willing to make, these organizations make it easy to dip your toe into voluntourism while still having a fun vacation. If you don't want to give up your vacation time but have some extra room in your luggage, you can still make a difference by packing items that can be used by local schools and clinics in your destination. Pack for a Purpose works with over 480 hotels and tour companies in over 60 countries. Each destination provides a list of specific items, so you always know that you’re bringing something that can be used. Simply bring your items to a designated drop point at your hotel, or arrange for a pick-up. Looking for more ideas? This informational website helps travelers locate opportunities for giving back in Central America, Mexico, the Caribbean and soon the United States. Families who stay at Beaches Resorts or Grand Pineapple Beach Resorts in the Caribbean can spend a couple of hours at a local school teaching children to read and write in English. It's a low-commitment gig that pays a huge dividend: Your family brings books and school supplies and then works with kids in community schools. This organization connects families with nonprofit organizations around the world that let you volunteer one day of a vacation. These organizations address a variety of issues including wildlife conservation, community health and nutrition, education, economic empowerment, and environmental sustainability. Heading to Orlando? Consider spending a half a day volunteering at Give Kids The World Village, a non-profit resort that provides theme park vacations for children with life-threatening illnesses and their families. Volunteer opportunities for adults and kids 12 and up include scooping ice cream, helping with pony rides, and running a merry-go-round. Want a longer, more in-depth experience? This site has a huge database of volunteering programs around the world and a nifty search filter that lets you find opportunities in the destination of your choice for families (search for programs suitable for kids under age 15). Interest areas include wildlife conservation, women's empowerment, community development, and more. In Utah, at the nation's largest no-kill animal sanctuary, kids from age 6 can work with their parents tending to homeless dogs, cats, rabbits, horses, pigs, goats, and more. A fun kids camp provides a place to drop off children when parents want a more intensive volunteer experience. This online marketplace offers a smorgasbord of impactful hands-on travel tours and workshops through hundreds of nonprofit organizations in several dozen countries. The focus is on short (half-day to one-day), affordable experiences that give back to local communities. At three bucolic animal sanctuaries (located in New York and California) family volunteers 12 and up can work a six-hour shift to help these farms care for animals rescued from cruelty. Farm chores might include barn cleaning, gardening, fence repair, painting, and raking. Families staying at one of the Solmar Hotels & Resorts in Cabo San Lucas, Mexico, can contribute to the local community by making a donation to the Solmar Foundation at checkout or participating in the "Bring a Thing" program. The foundation suggests inexpensive items such as coloring books, stickers, and school supplies that are badly needed by schools, orphanages, and other charity organizations. You can drop your gift off at the hotel office. Families with kids age 4 and up can spend as little as one week volunteering on ongoing projects in two dozen countries around the world. Projects Abroad will work with families to help personalize projects to accommodate family goals and topics of interest.